Enjoy high-resolution audio listening at home using the Yamaha MusicCast 20 Wireless Multiroom Speaker, which offers superb sound quality and versatile connectivity options - able to be used as a standalone speaker, paired, or acting as surround speakers with a compatible MusicCast AV receiver or sound bar. Explore a world of music with music streaming services built-in. Syncing your playlists and song likes from your smart phone or computer to the MusicCast 20, music streaming services make it impossibly easy to either listen to your faves or discover new music. With Alexa voice control integration, all you have to do is ask. 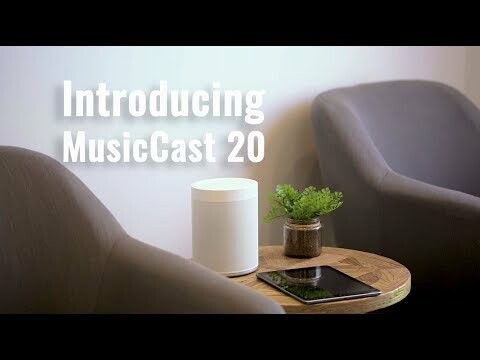 The MusicCast 20 offers full compatibility with the Alexa range of voice control devices.